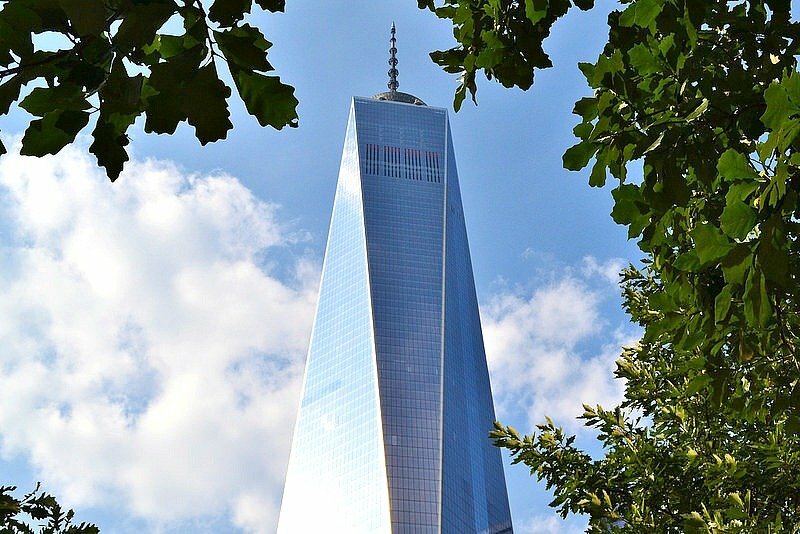 Since the opening of One World Trade Center just a few weeks ago, the world has been in an uproar over the design and the incredible cost of making New York’s tallest tower a reality. But one feature that we all seemed to have forgotten was the promise that the tower would be the greenest building in America. A recent City Lab article looks at what went wrong, and why, in a race to meet contractual obligations to its anchor tenant, Condé Nast, the development dumped a major part of its plans to go green, currently leaving the building in a state of noncompliance. 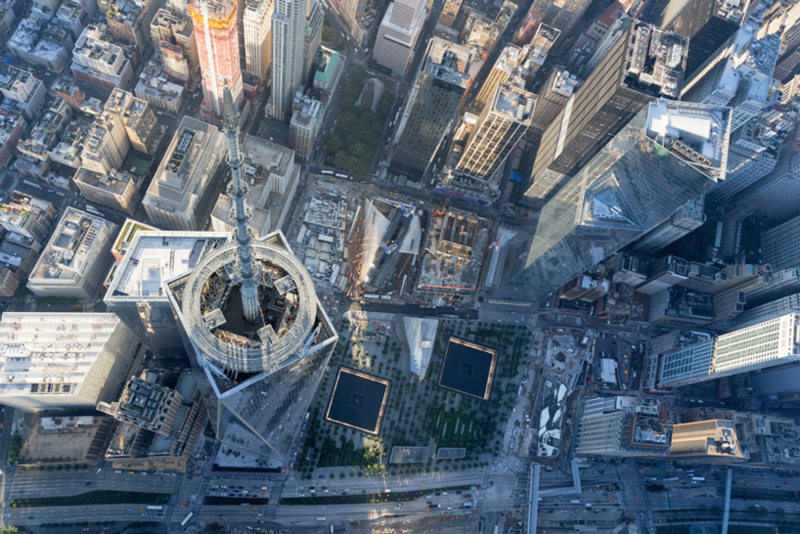 As part of the 2007 construction agreement for One World Trade, the Lower Manhattan Development Corporation put in place aggressive green standards that the tower would need to follow–namely that it would have to attain LEED gold certification, achieve net-zero CO2 emissions, and operate with at least 20 percent more energy efficiency than the state’s current building code. The building would do this through smart lighting, rain harvesting, and, most notably, a state-of-the-art on-site fuel-cell installation—one of the largest of its kind in the world. The cells would work by converting natural gas into electricity using a clean, energy-efficient electrochemical process that doesn’t emit greenhouse gases or soot. The heat and water put out by the cells would be used to cool and heat the tower. 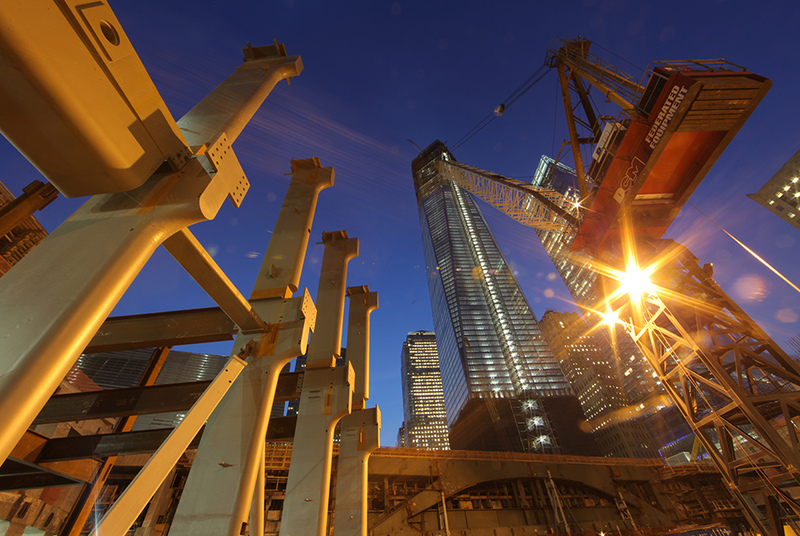 The whole system, consisting of nine fuel cells ready to power all three WTC buildings up to 30 percent, would ring in at $10.6 million. But unbeknownst to many up until this point was the fact that the cells were already installed by 2012, and when Superstorm Sandy hit, floodwaters destroyed the whole thing. The cells were never replaced due largely to the fact that Durst (the developer) and the Port Authority had to get its anchor tenant, Condé Nast, in by the leases’s penned January 1, 2014 move-in date. The cells would have had to have been removed and replaced before the building’s loading dock was installed. Unfortunately, replacing the fuel cells would have delayed the move-in with huge financial repercussions (the publisher signed a $2 billion deal). Ultimately the cells were removed, and buildings three and four got their new cells, but in 1 WTC they were never replaced. To date, the loading dock continues to block the only way to get the new ones in. Surprisingly, officials say the building is still on-track to receive its rating. However, this won’t be done through fuels cells but through measures like LED lighting. Their response is that mulling over the fuel cells issue is “missing the forest” for the trees. Green details beyond the aforementioned lighting have yet to be divulged. It’s worth noting that the LEED rating system has come under fire in recent years for being flawed, namely because a building could score higher than average performance on one attribute but fail to make a mark on another. Moreover, a building is able to accrue points simply by posting educational displays throughout and installing bike racks—basically skirting real measures that might be more costly but effective–e.g. the fuel cells that were supposed to make 1 WTC exceptional. However, to the U.S. Green Building Council’s credit, some strides have been made to improve this, particularly with the release of LEED v4 last year which increased the technical vigor with which buildings are judged. But whether the building will be evaluated against the new standards or the old remains in question.